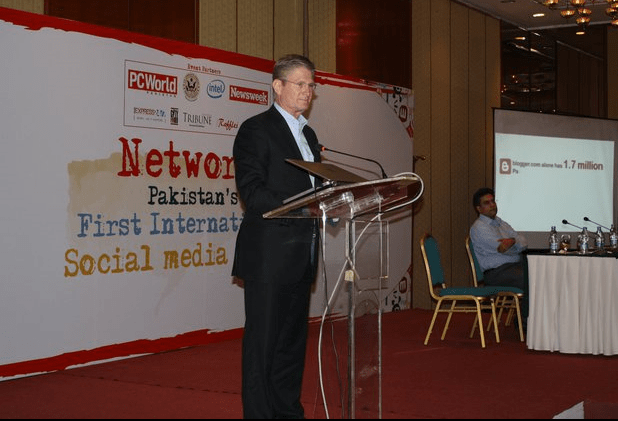 The US Consulate General in Karachi recently sponsored Pakistan’s first ever social media summit held in Avari Hotel from June 10-11 2011. 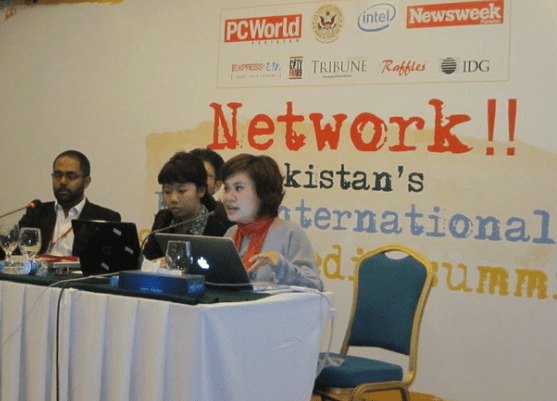 Its partners include Intel, Apple, Newsweek Pakistan, PC World Magazine, IDG, iRaffles and Express, Pakistan’s second largest media group. It also had representatives from Twitter and WordPress skyped from the US to be part of the Summit. Indonesian bloggers Heny and Dita talk about social media for community activism and community service in education and in combatting corruption. There are reportedly 3 million bloggers in Pakistan, and with over 4 million people on Facebook, it is ranked 26th in the world. Its internet penetration rate is at 23.42% and growing, while its mobile penetration is at 60.4%. Less than 2% of Pakistan’s population is on Twitter as of 2011 but as a sign of the microblogging increasing popularity, Zong, a second network now officially supports Twitter updates via SMS. International participants included Mohamed El Dahshan (Egypt), Hanny Kusumawati and Anandita Puspitasari (Indonesia), Rebecca Chiao (Egypt), Ong Hock Chuan (Malaysia), Claire Diaz Ortiz (US) and Karim Osman (Netherlands), as well as other bloggers who participated via Skype. Watch this overview too on new media users in Pakistan. Consul General William Martin delivers opening remarks at Network!! It is not surprising to see some familiar faces involved in this event – Andie de Arment of CG Karachi and Tristram Perry of CG Lahore, both officers previously worked together in US Mission Indonesia, the Bigfoot in the State Department’s social media footprint. 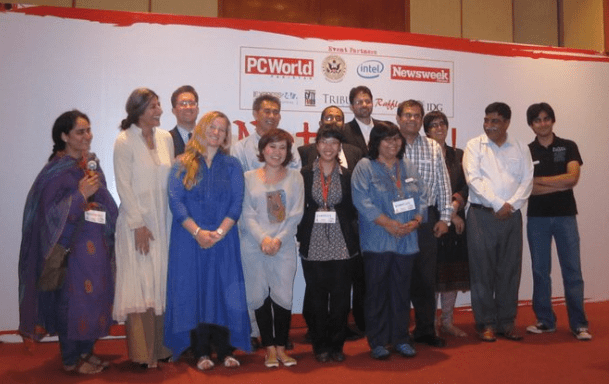 Rabia from CIO Magazine/PC World along with moderators, presenters, international bloggers, as well as IO Andie & IO Tristram from Lahore. More photos here from Tribune and here from US CG Karachi Facebook. Awesome work folks! « US Embassy Tel Aviv: 2011 July 4th America Challenge!